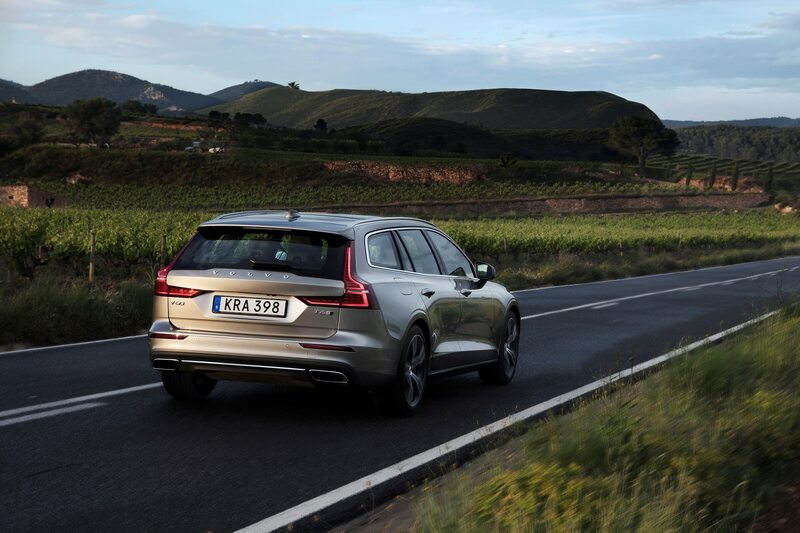 TARRAGONA, Spain — You probably remember that the Volvo station wagon nearly left the U.S. market for good a few years ago, eliciting a great outcry from professors, college students, auto journalists, and other stereotypical diehard SUV-resistors who help maintain sales numbers of such cars in the (low) thousands. 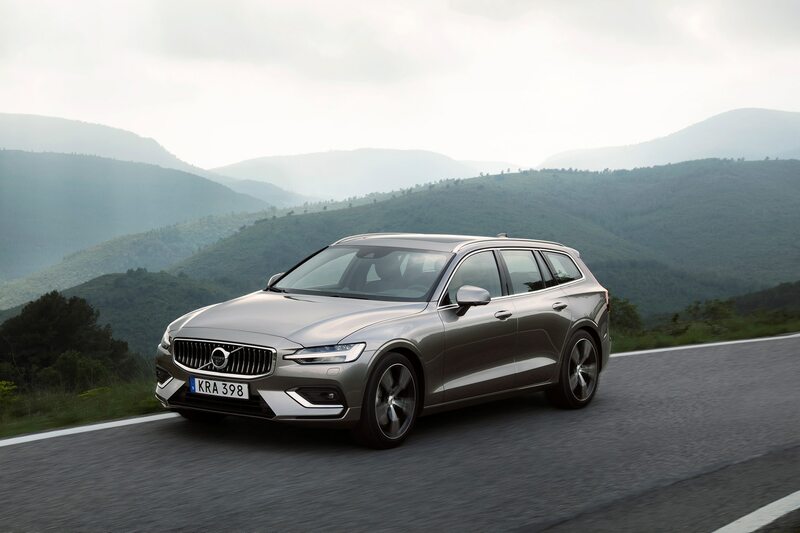 What we saved from almost certain extinction globally was the outgoing Volvo V60, a rather pudgy wagon that seemed to want to look like a sort of crossover. 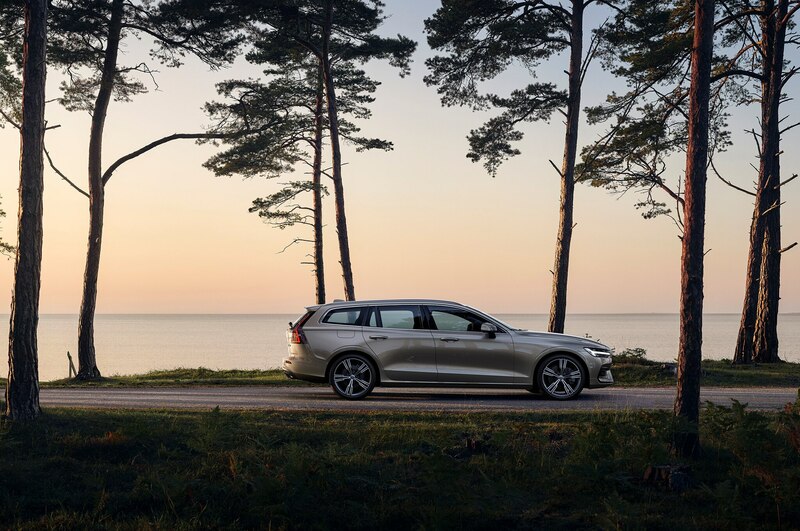 Volvo wants you to know that its station wagon renaissance is here, with the new 2019 Volvo V60 coming to America no earlier, unfortunately, than the first quarter of next year. 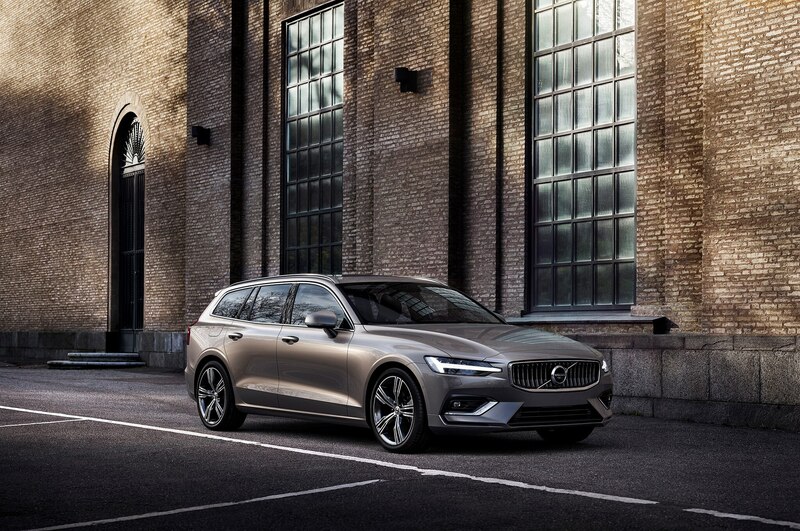 The new car joins its elegant big brother, the V90, on the SPA scalable architecture, an uber-flexible platform in which the only constant is the rear-wheel-drive dash-to-axle proportions that make room for an extra crash zone, and in the case of the V60 T8 model to come later, space for a plug-in hybrid electric motor between the transverse 2.0-liter four and the front cowl. 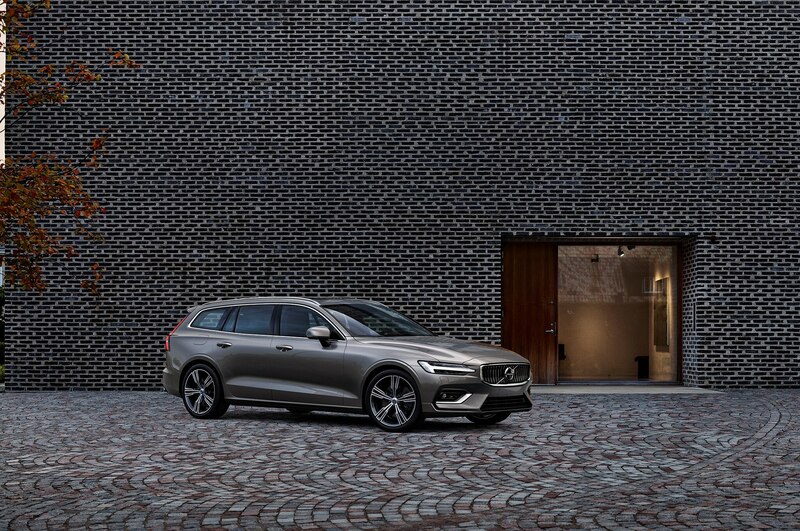 Proportions of the 2019 Volvo V60 are improved all around. 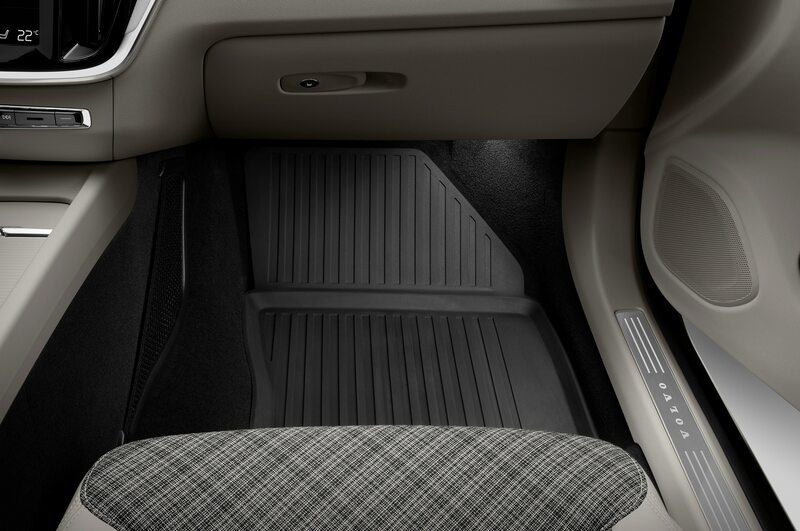 It’s 4.9 inches longer, rides on a 2.8-inch longer wheelbase, and is two inches lower overall, at a sub-crossover 56.4 inches. 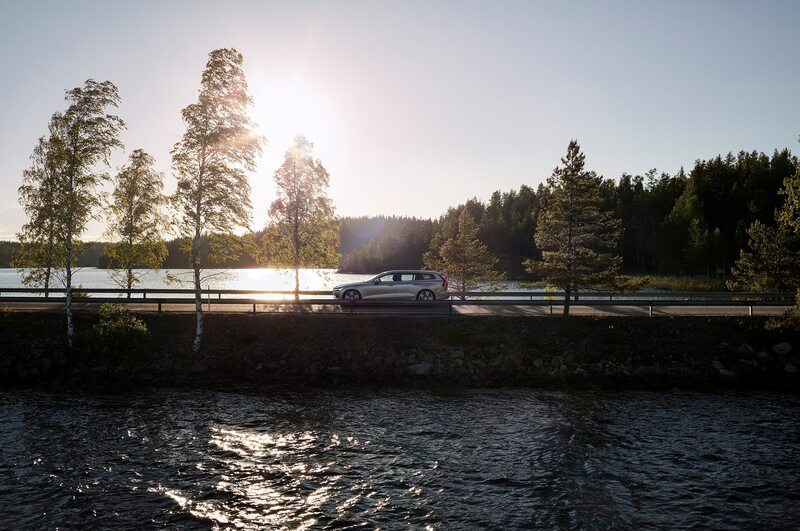 The sport/utility in this wagon is in how it’s easier to enjoy such sports as bicycling, skiing, and kayaking, because you can attach bikes, skis, and kayaks much more easily to the roof racks—a point that Buick has made with its 58.4-inch-tall Regal TourX. 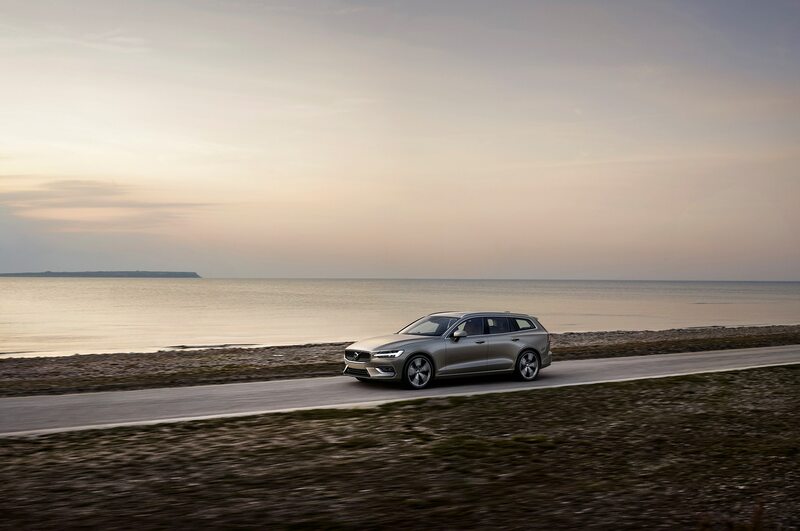 Styling is more youthful and “technical” than the more “stately” V90, says Jurgen Jose, exterior senior manager. 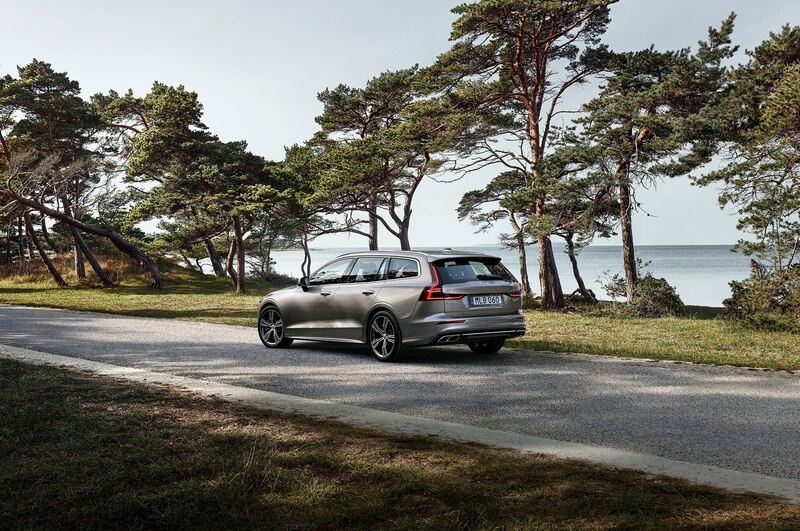 “Yacht design inspired the V90,” he says, which isn’t true of the V60, despite the strong family resemblance. 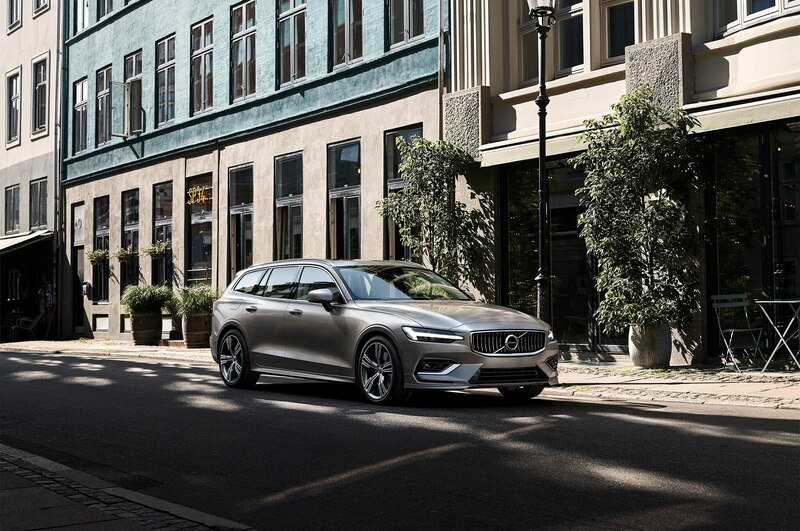 The 2019 Volvo V60 separates the connected front and rear shoulder-lines of the V90, which emphasize that car’s length. 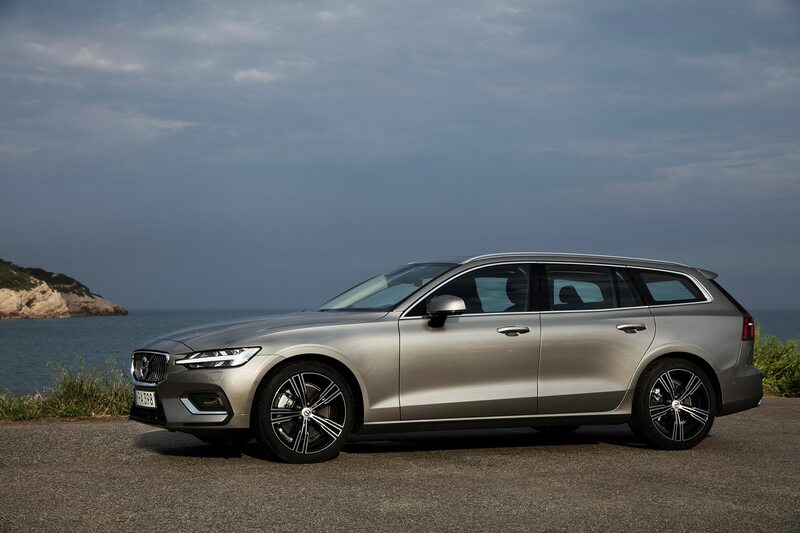 The V60’s daylight opening sweeps up a bit more from the c- to d-pillar than the V90’s, though the glass of the new model also extends lower by 0.6 inch than in the bigger wagon. 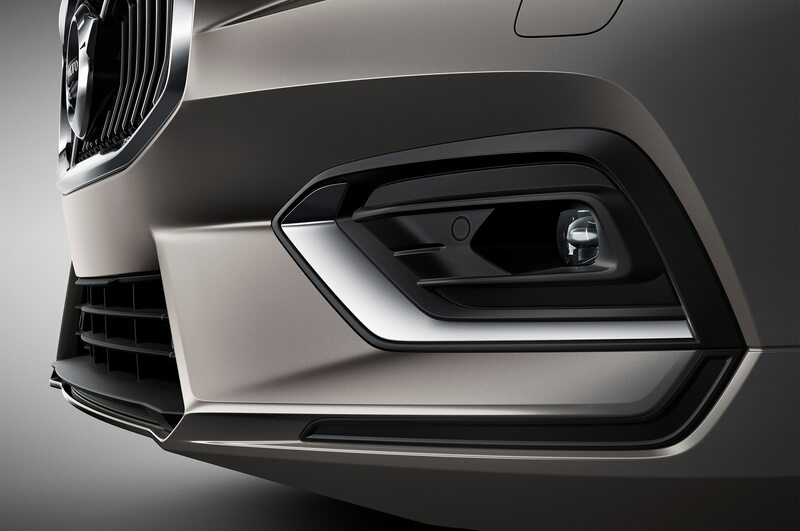 The taillamps are thinner than the V90’s and the Thor’s hammer headlamp design element runs through the center of the headlamp lens, but doesn’t touch the grille frame. 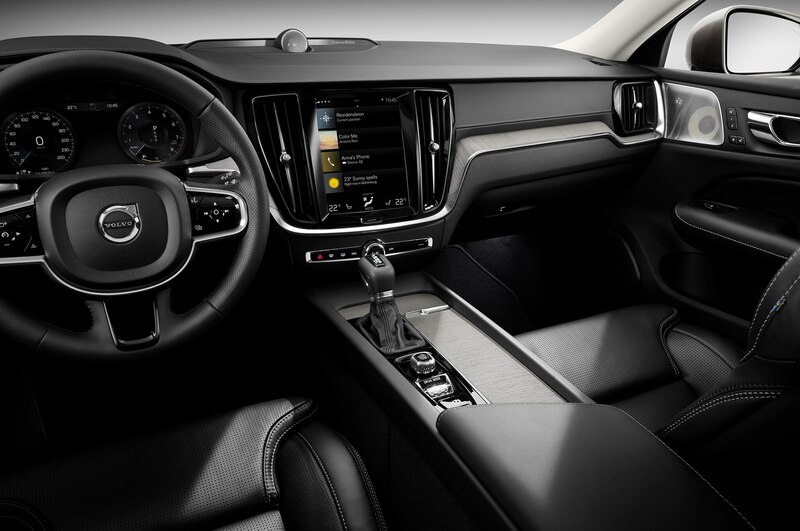 Volvo is particularly proud of its standard driftwood dash trim, which is bent both up and down to connect the two outer HVAC vents and the Sensus Connect four-tile infotainment screen. 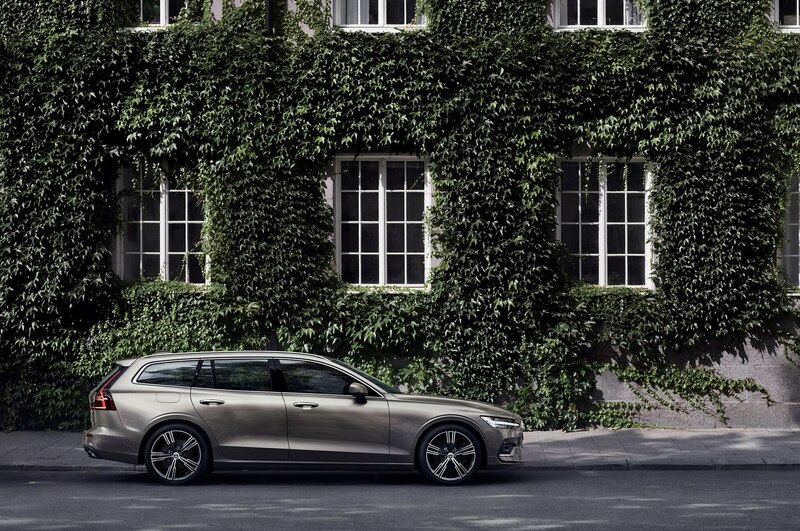 This renaissance of Swedish modern style builds upon a brand aesthetic that is quickly becoming the most desirable design language in the premium/luxury auto business, an anecdote for often-garish German competitors that rule the segment. “Boxy but good” can also be “handsome” when the edges are curved and the side surfacing is clean and expressive. 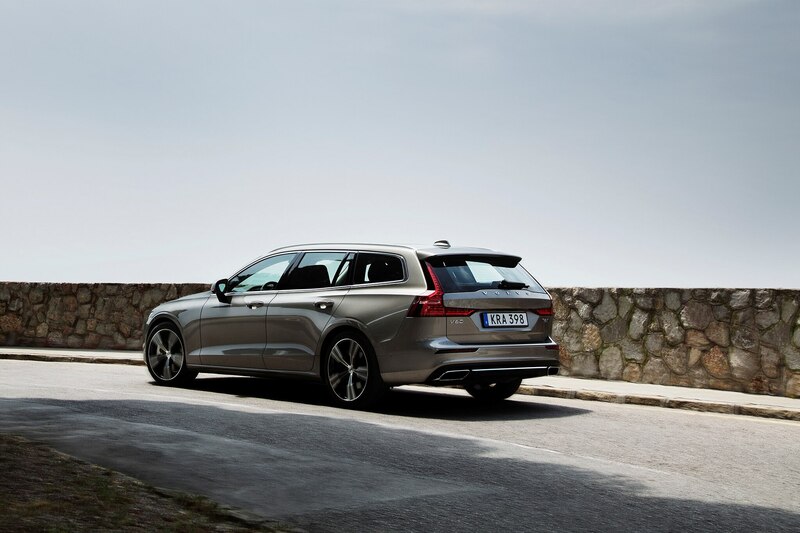 You must choose the V60 Inscription to get the standard driftwood inlays, but there’s something very appealing about the “base” V60 Momentum, which comes standard with the 250-hp turbocharged-only 2.0-liter I-4, front-wheel-drive and 17-inch wheels (the T6 powertrain and AWD are optional). 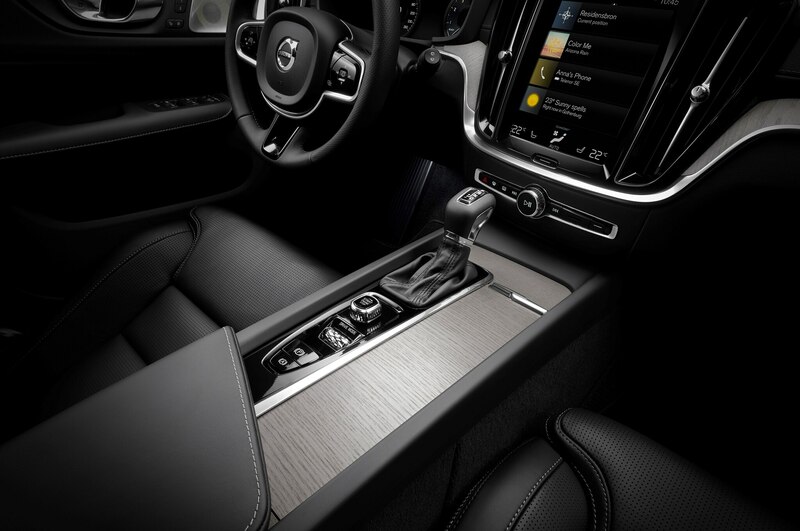 For no extra cost, you can eschew the standard leather seats in the Momentum in favor of what Volvo calls “City Weave” cloth seats with plaid inserts. 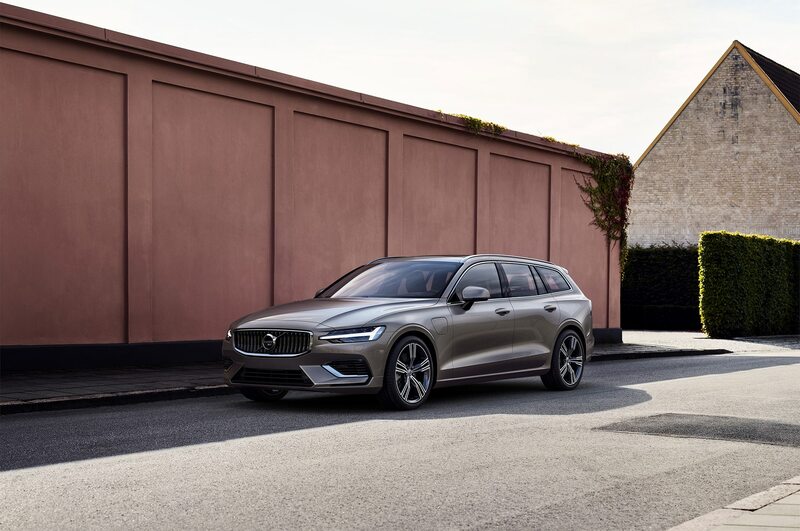 Volvo USA says it fought for this option—perhaps in the same way it fought to keep the old V60 imports to the U.S.—and for once, the “base” model doesn’t look like a straight-to-rental-fleet special. 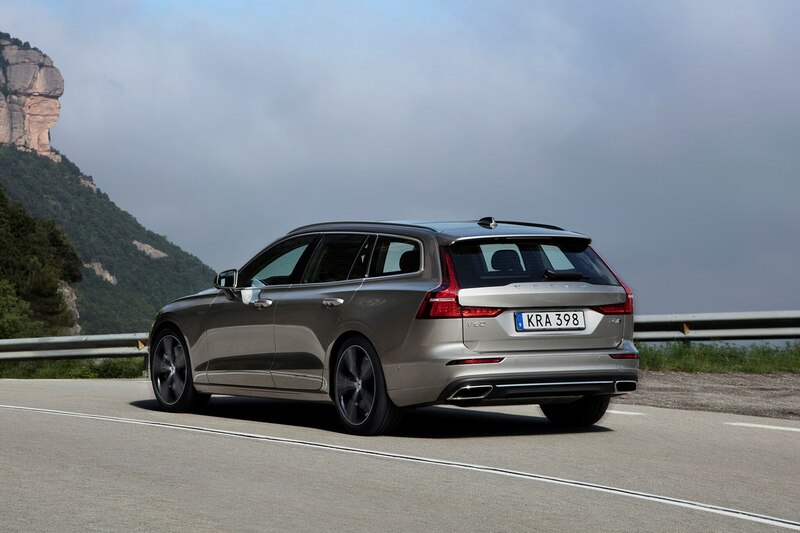 If you can maintain option sheet discipline and keep your V60 Momentum’s sticker down in the low-$40s, you’ll be paying tribute to the kinds of Volvos that hit it big in the U.S. back in the ‘60s, ‘70s and ’80s, when it was a mid-priced, but not a premium/luxury European brand. 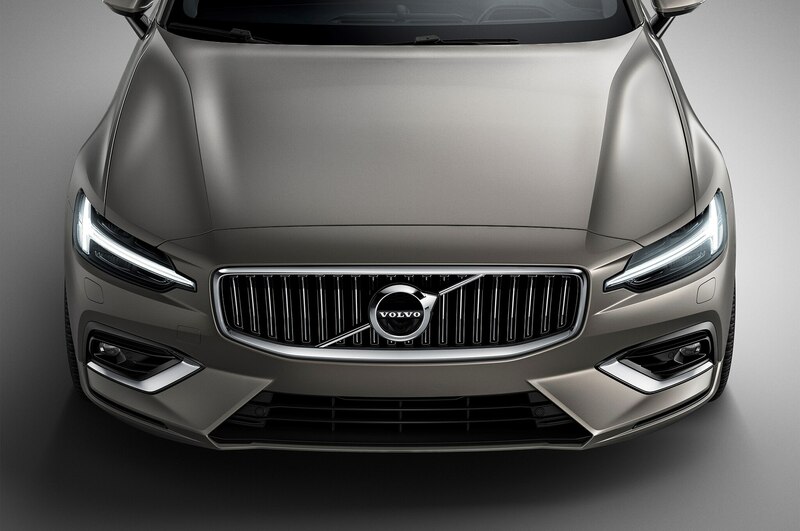 The 21st Century interpretation of Volvo-ness permeates the engineering as well as the design. 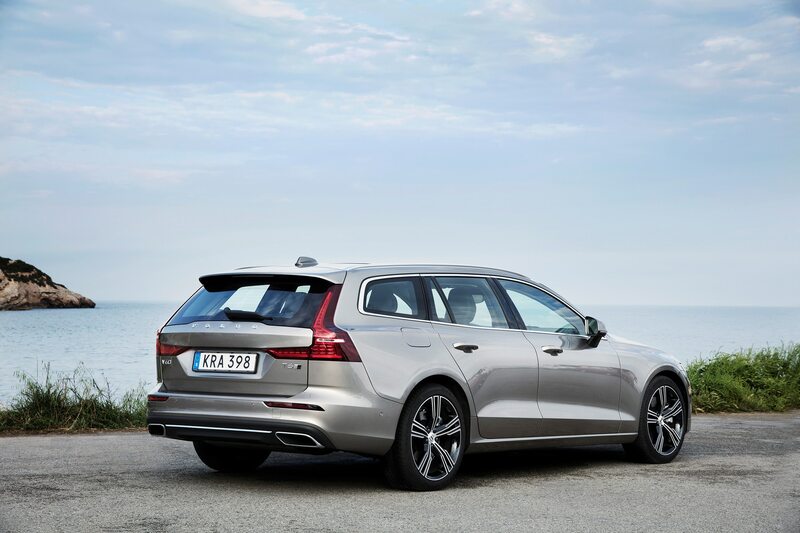 Volvo calls its new V60 a “driver’s car.” This is hyperbole. 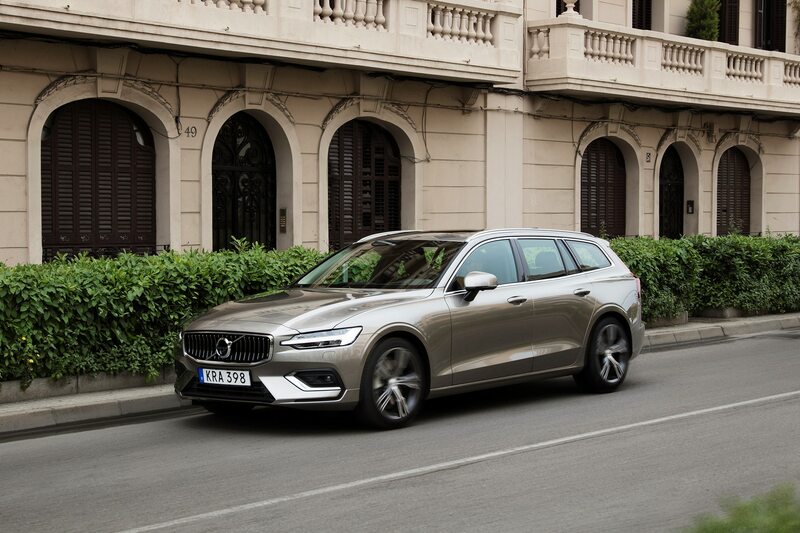 The 2019 Volvo V60 drives exactly as you’d expect. 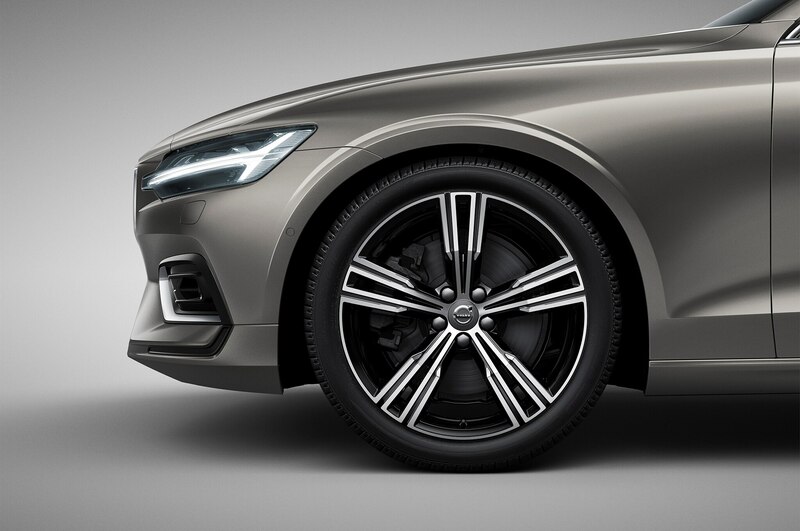 Don’t expect German sport sedan dynamics from an all-wheel-drive version of a front-wheel-drive car with a rear-wheel-drive dash-to-axle proportion. Monsoon-like rain early in the morning blunted our first drive, which started from a lovely beach town on the Mediterranean Coast outside of Barcelona. After a late re-start, we managed to make the mountain esses on the other side of Barcelona, but the pavement was still wet. A drier mountain run later in the day was too short (and crowded with traffic) to come close to exploring limits. 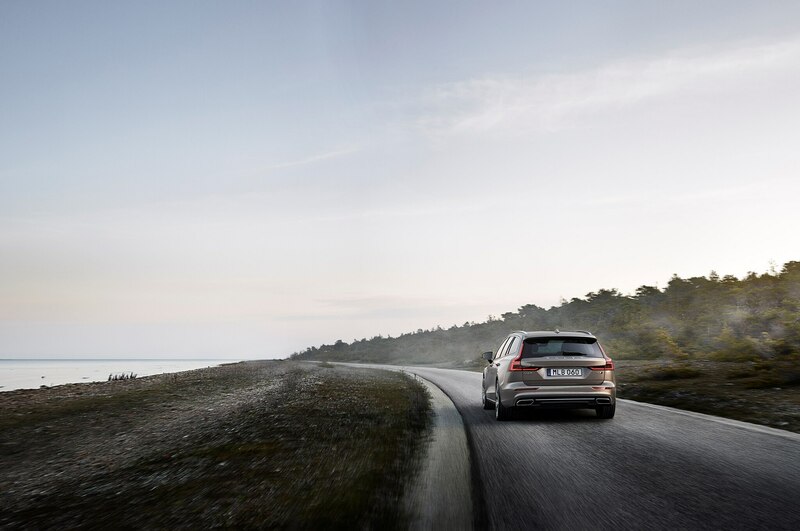 Moderate understeer is fine for a C/D-segment family wagon, and the superb steering provides a light touch with excellent feel and feedback. 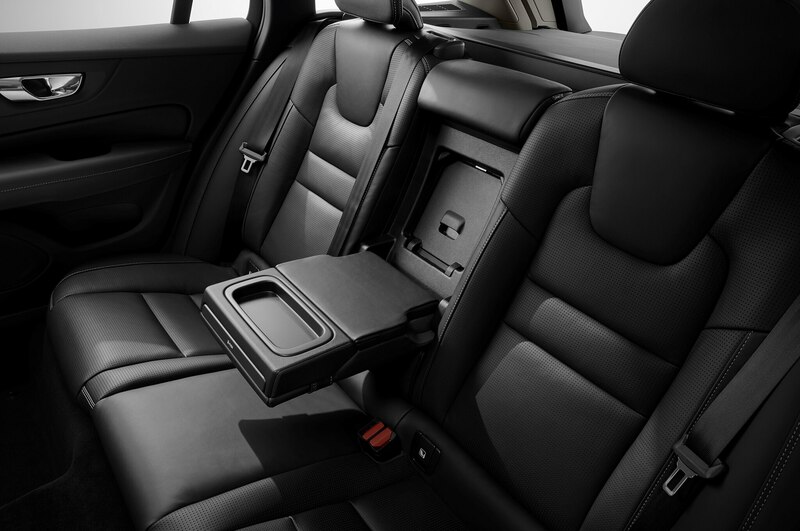 Aggressively bolstered front seats keep you in place nicely. There’s moderate compliance, good grip, and decent fun to be had if you don’t mind your kids spilling from their juice boxes. 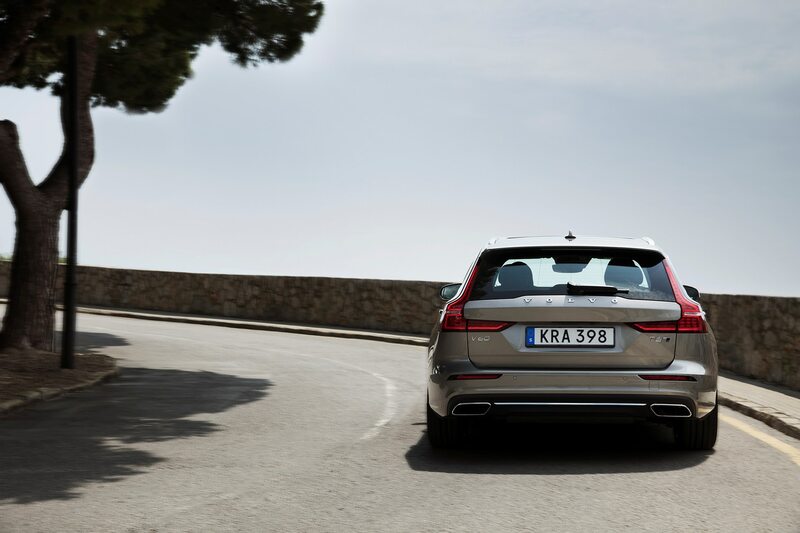 The T6’s 316-hp “Twin Engine” is quick enough to launch you into any gap in a straight line, though somehow the supercharger-to-turbocharger hand-off stumbles slightly in low-speed turns. 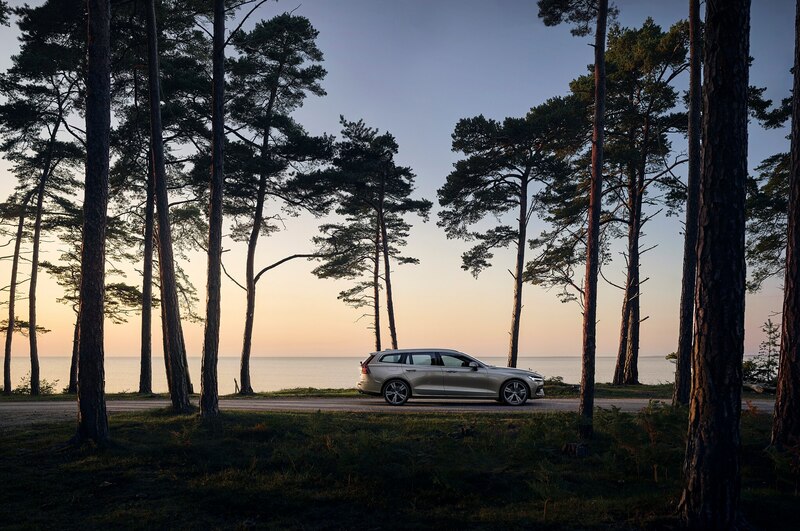 Shifting into the sport-shift mode mitigates this significantly, still with some hesitation, and you’ll probably start worrying about what this does to fuel efficiency. 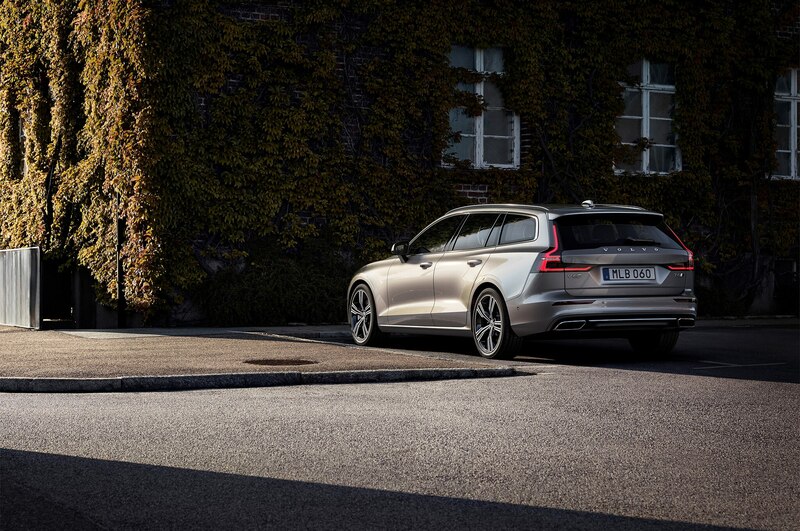 Powering Volvos of every size and weight with no more than a 2.0-liter engine does force compromise, after all. 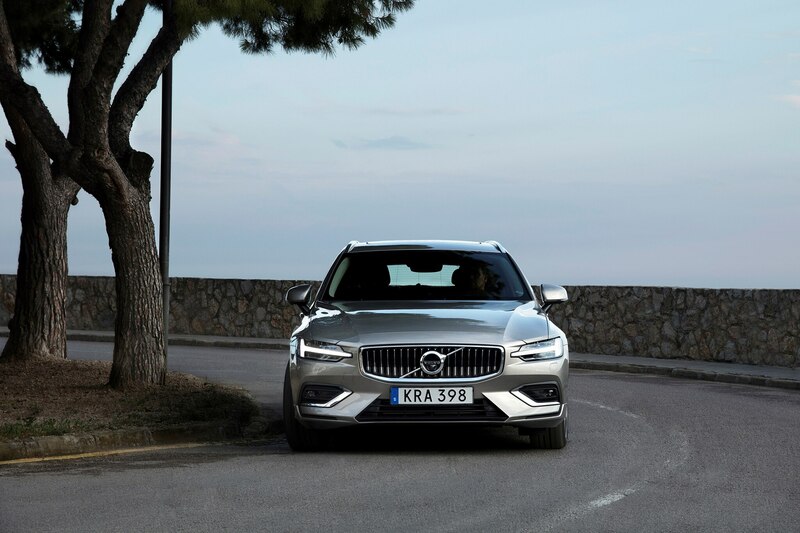 Shifting yourself can help, too, but you’ll be using the gearshift unless you wait for the Volvo V60 R-Design, which will be the only trim level with paddle-shifters. 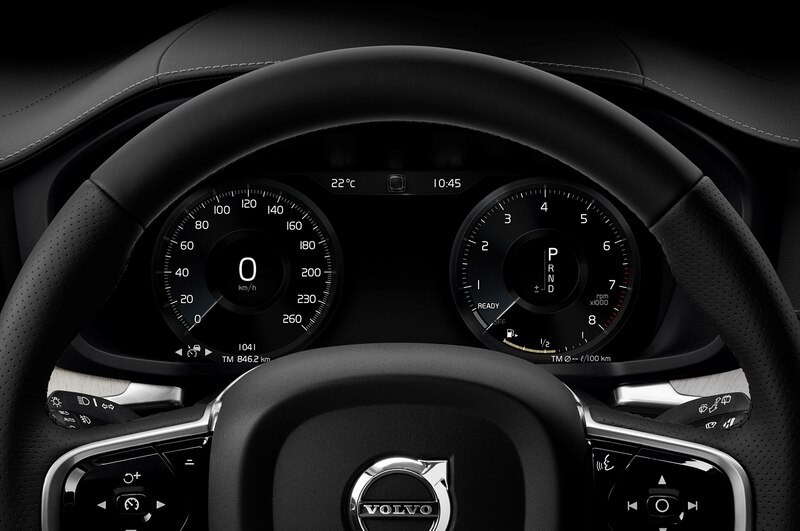 Similar to Audis, Mercedes-Benzes and BMWs, this Volvo comes with driver-select “comfort” and “dynamic” settings. 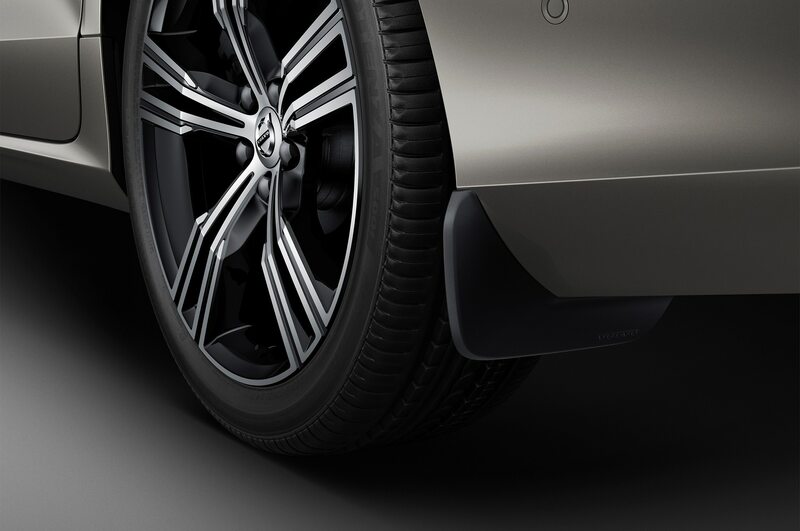 This seems to affect throttle response more than chassis setting. 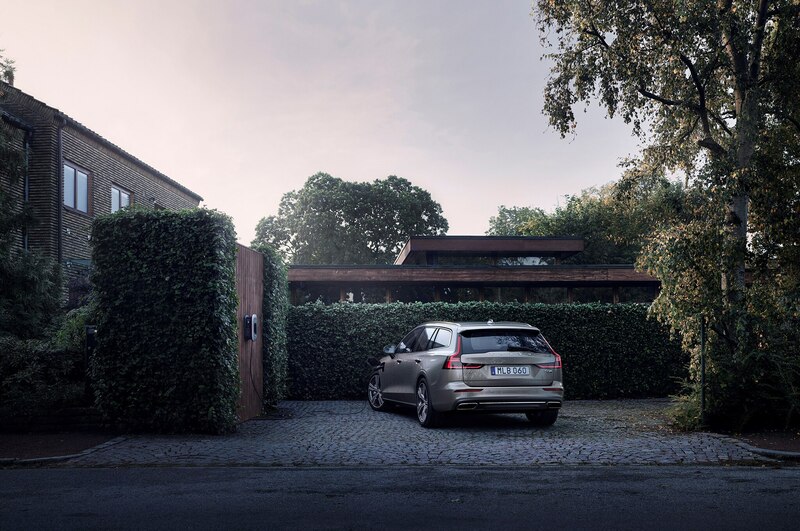 Best to get in and drive and enjoy the comfort, serenity and feng shui of the handsome surroundings. 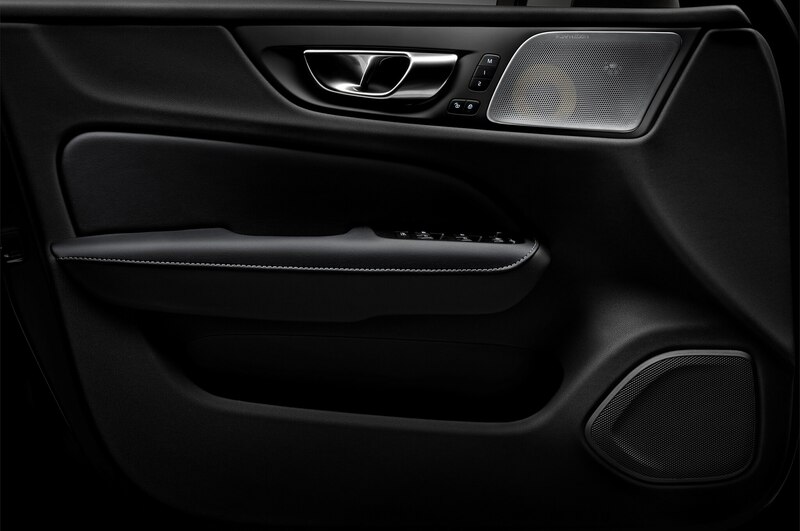 There’s a Harmon/Kardon audio upgrade and a Bowers & Wilkins hi-fi option above that. There’s the obligatory panoramic sunroof. 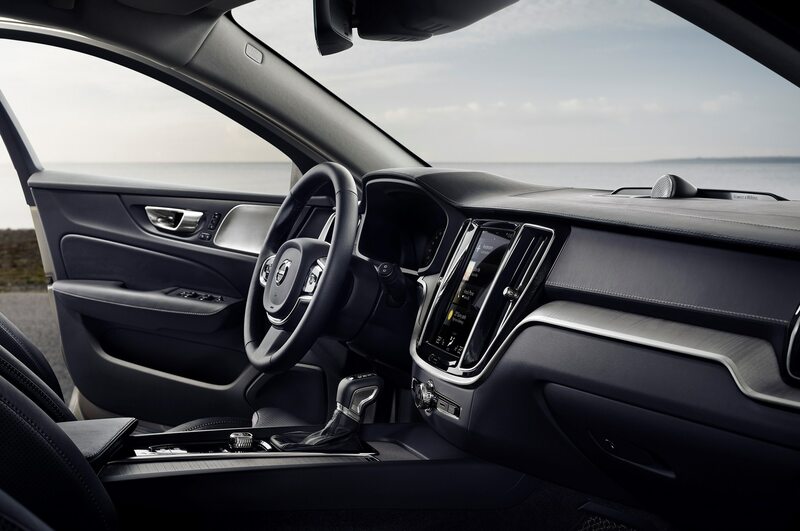 Our Volvo V60 Inscription featured navigation (an option on some versions, as Volvo recognizes that many drivers would rather use smartphone map apps) and the trim level’s standard multimedia package, with the “four-tile” 12.3-inch center display. 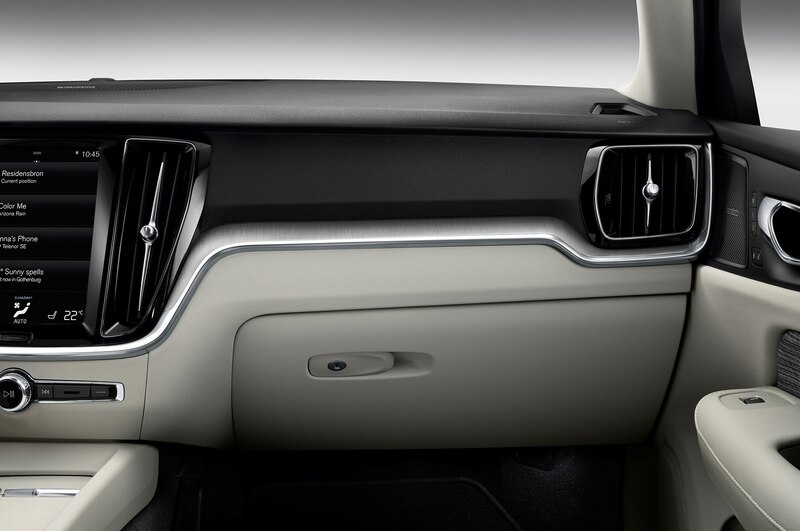 This touch-screen works as well as any premium/luxury infotainment touch-screen, which means it’s also too dependent on the driver looking at the screen to change what he or she wants, even the seat heaters/coolers. 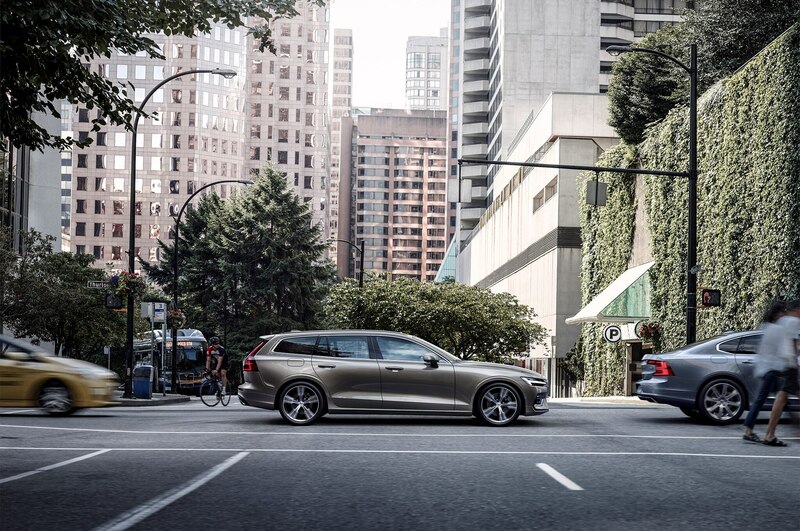 This takes your eyes off the road for too long. 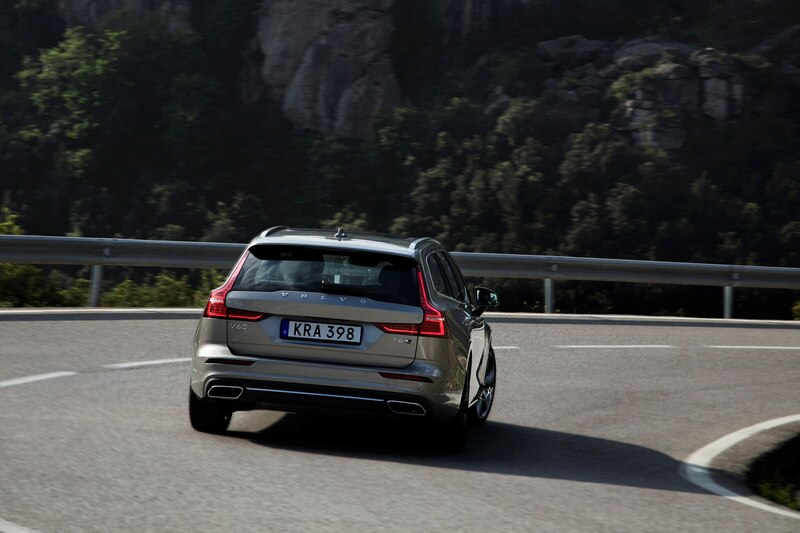 Volvo recommends using the voice-command. 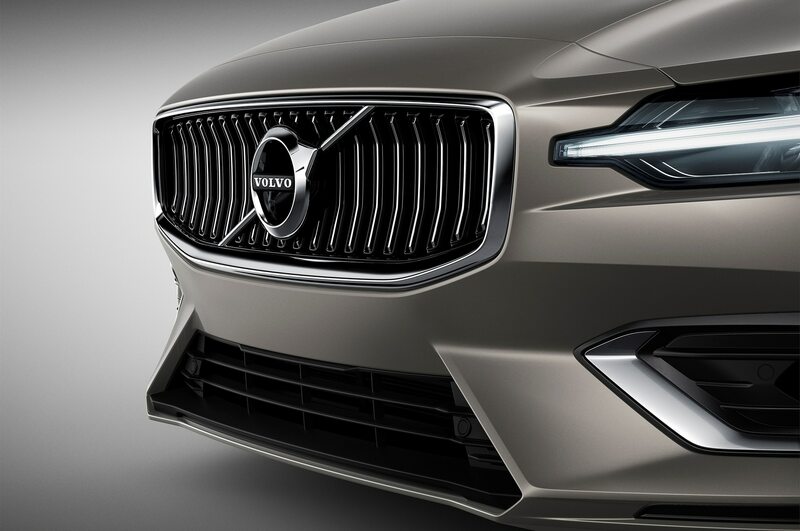 Volvo has a hardware update for this Sensus Connect system to correct slow startup on early versions. 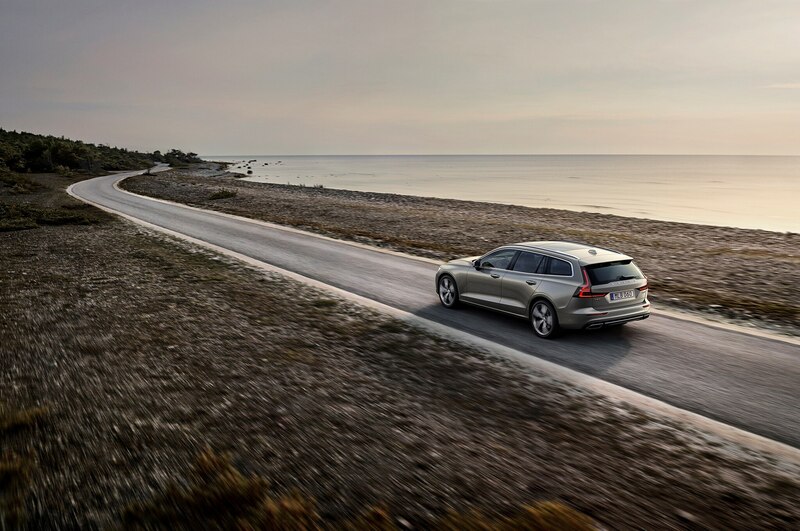 Infotainment speed is up to 50 percent quicker, though for us (my drive partner and me) the navigation system often seemed a turn behind the times, which left us making a wrong turn on at least one occasion. 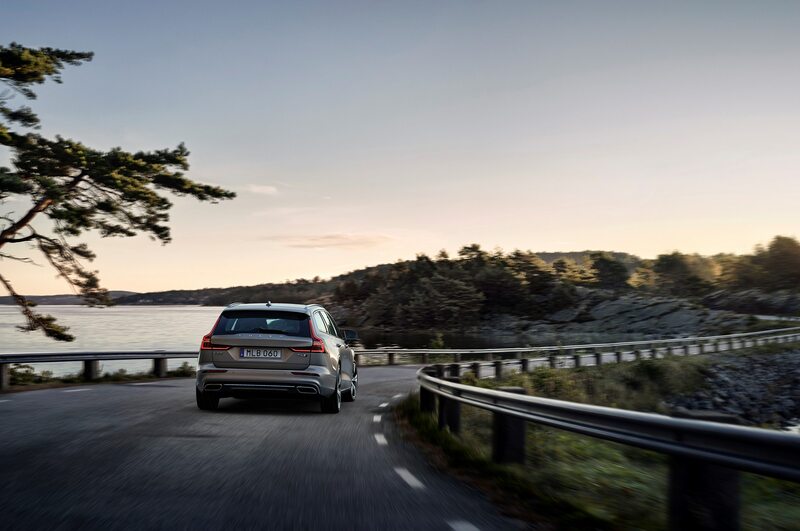 This wouldn’t be a proper Volvo First Drive review without at least mentioning the existence of a long list of leading edge safety features and advanced driver assistance systems. 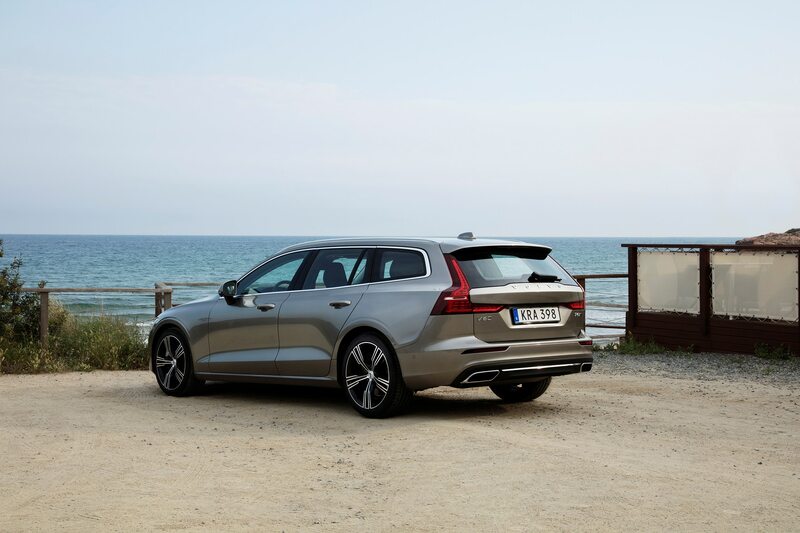 The V60 comes with a 360-degree camera view, operated by push-button that changes from the rearview camera, City Safety with automatic emergency braking including pedestrians, bicyclists and large animals, on-coming traffic alert with steer-assist and run-off-road mitigation. 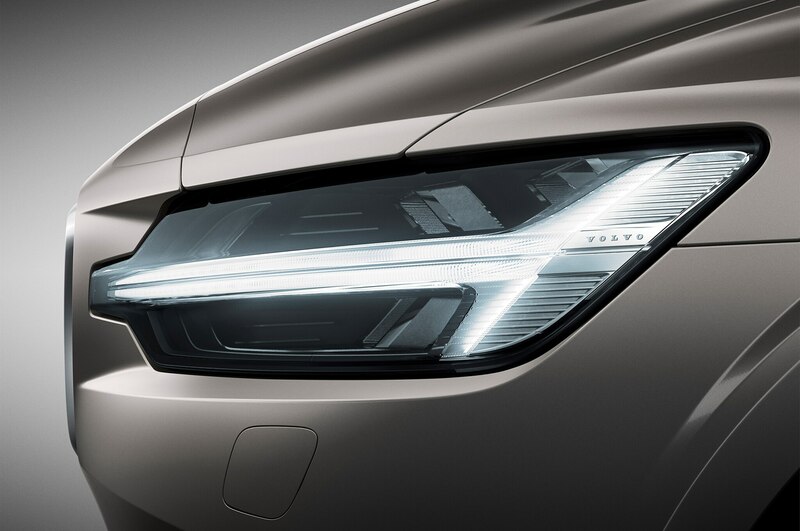 A blind spot information system is optional. 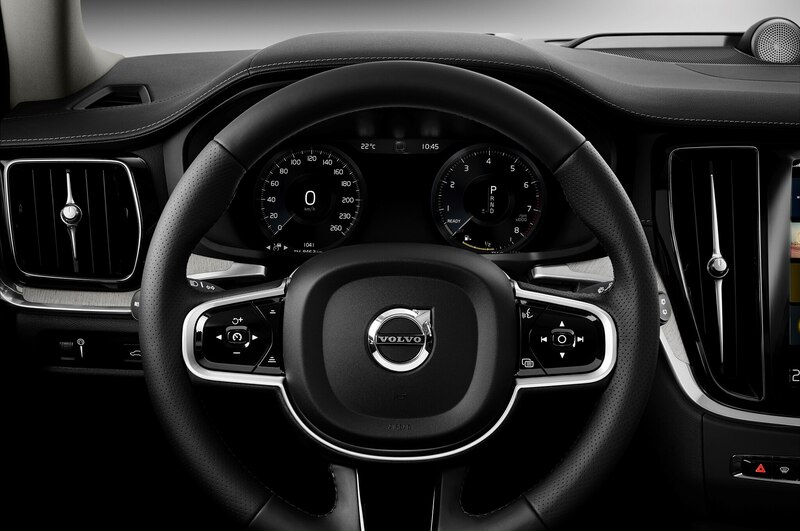 Our Inscription also came with Pilot Assist, a hands-on-the-wheel system that Volvo says reduces stress by guiding drivers through curves. It can be annoyingly intrusive at times, though it does come with a defeat button. 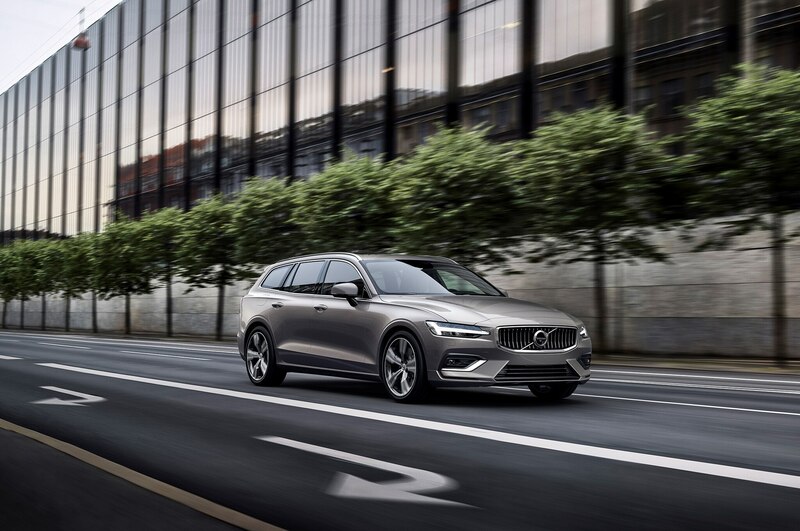 Otherwise, the new 2019 Volvo V60 is a stress-free car with Pilot Assist turned off. 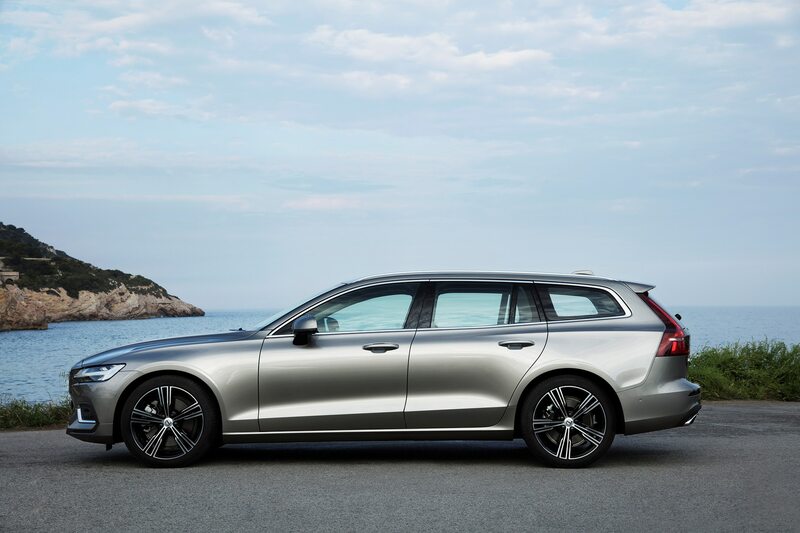 It’s a driver’s car the longer and farther you drive it, and while it’s not quite a sports wagon, it’s not an SUV or crossover, either (though a V60 CC is coming). 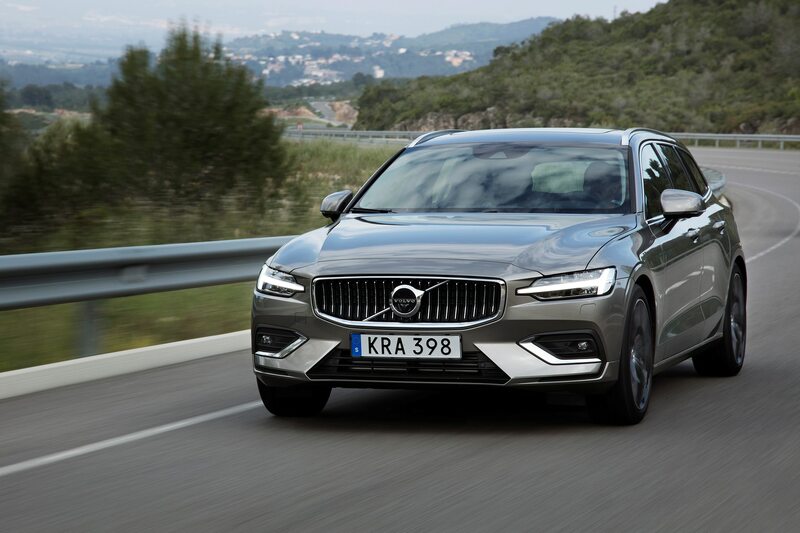 Tweed-jacketed fans of Volvos past are likely to find it the most appealing new car in its price segment.